I'm very excited to have been included in this wonderful and diverse exhibit in Lafayette, Indiana. It is worth the trip to see. Below is one of three pieces I have in the show. 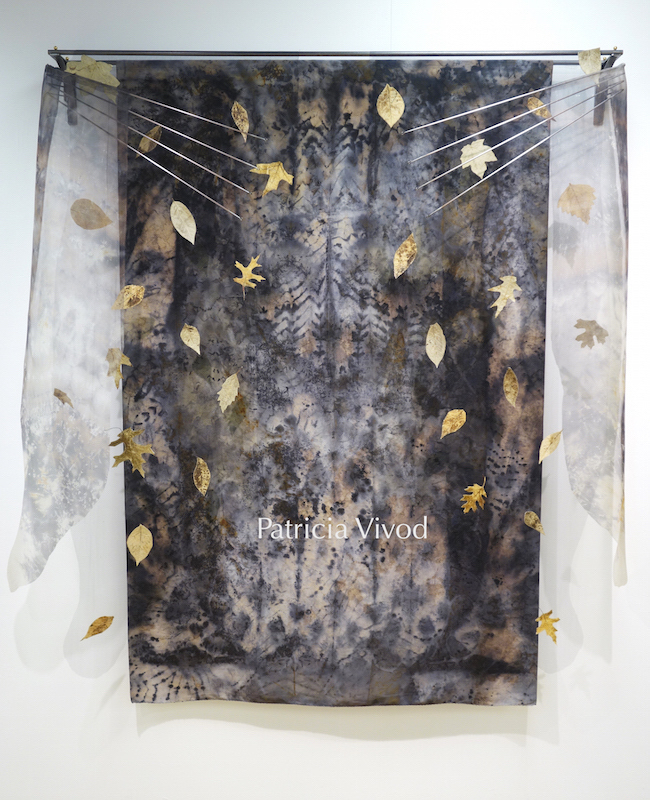 You can see my other work and photos taken at the reception on May 12 at my personal blog Sentimental Pentimento. 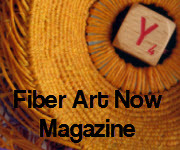 There are several fiber people among the 51 artists in the show. 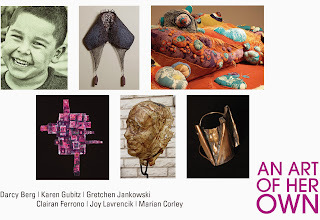 This exhibition features 140 works of art by 51 prominent professional craft artists (clay, glass, metal, wood-working and fiber), from 25 states plus Canada and Australia. These artists make their living by creating and selling fine art crafts. Many of the most renowned artisans are juried participants in the most prestigious art shows in the U.S. Including Chicago’s SOFA at Navy Pier; Grand Rapids’ Art Prize; and Ann Arbor’s Summer Art Fair. Guest Curator, Jim Sondgeroth has personally selected and invited each artist. This unique exhibit expands on the first two Making it in Crafts exhibits shown at the Art Museum in 2011 and 2014. It is one of the most exciting and comprehensive arts and crafts shows to be presented in the Midwest. I just wanted to let everybody know that our next meeting will be held in Chicago Heights IL at Union Street Gallery on Sunday December 4th 2016 from 12pm to 2:30pm. Union Street is a lovely gallery and artists studio collective space housed in a landmark historical building in Chicago Heights. I am excited to say that we will have a demo as part of our meeting presented by the wonderful Ausrine Kerr of Ausrine's Arts Room of Evanston. 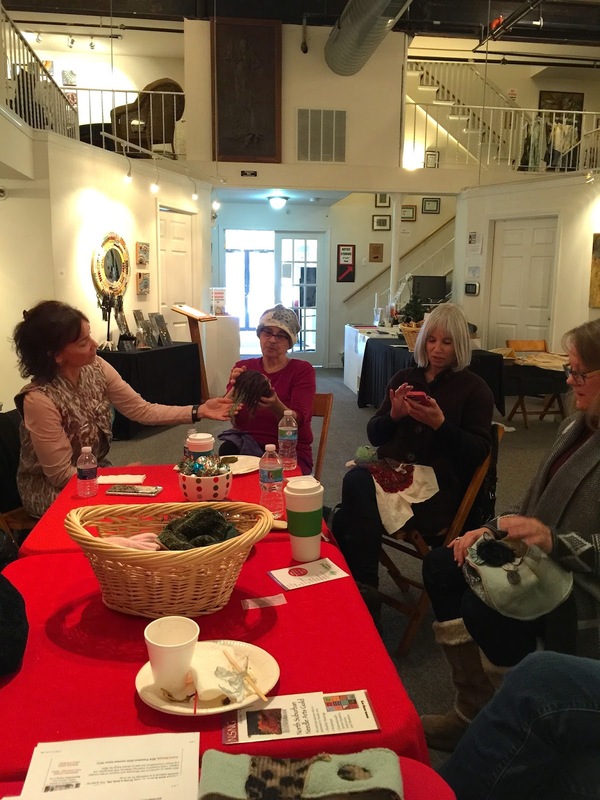 The demo will demonstrate the making of a felted jewelry piece (feel free to take pictures *no flash please* and take notes). As usual we will have a Show & Tell and the meeting will be potluck (so bring a piece of your art, finished or unfinished, and a snack to pass around). Also, Union Street Gallery is having their Handmade Holiday Market through December 17th so you will have a chance to do some shopping for the holidays as well (they also have a wonderful gift shop too!). Please come out and enjoy food, conversation, and the gallery (and feel free to bring a friend). If you can please let me know that you are coming via email or via the comments. 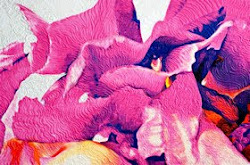 Also, you can find more information about Union Street Gallery here and more information about Ausrine Kerr here (click on the Home or More button for drop down info on Ausrine's page). Hi all! I just wanted to let everybody know that our next meeting will be held in Evanston at Ausrine's Arts Room on Sunday October 2nd at 10:00am. Ausrine is a Chicagoland fiber artist who works with many fibers and techniques including felting and leather working. Ausrine's Arts Room is both her gallery and her teaching space (yes, she offers classes so take a look at her website). Once again please come out and enjoy good conversation, the latest SDA news, show & tell, and of course snacks. Make sure you bring some of your artwork (finished or unfinished) for show & tell and a snack to share. No, mini-workshop this time around, but show and tell is always fun! Please let me know that you are coming via email or in the comments. Also, you can find more information about Ausrine's Arts Room of Evanston here (click on the home button for drop down info). The Next Meeting for SDA-IL Will Be Saturday July 16th, 2016 from 11am to 1pm at the studio of Maggie Weiss in Evanston, IL. Hi! 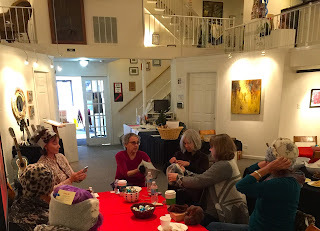 I just wanted to let you all know The next SDA meeting for Illinois will be Saturday July 16th 2016 from 11am to 1pm at the studio of Maggie Weiss in Evanston, IL. This should be another really exciting meeting because I have arranged a mini workshop with Maggie! We will be making thermofax screens to print on fabric with (could be used for paper too). There will be a $10.00 charge towards the cost of screening supplies. Using a thermofax screen is much like silk screening but much less bulky. Things you will need to bring with you is a black and white copy of a design you wish to have burned to the screen no larger than 5” X 7” as well as some fabric to print on. I know you will all enjoy this meeting and Maggies's class space is nice and spacious! As usual we will have a potluck, so please bring a snack to share. If you want to have a look at Maggie's website it is here. You should be receiving the official email tonight. Please let me know if you plan to attend via the comment section, email, or facebook if possible so that I can give Maggie a head count. The Next Meeting for SDA-IL Will Be Sunday April 3rd, 2016 from 12PM to 2pm at The Chicago School of Shoemaking in Chicago. Hi! 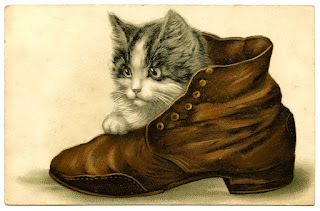 I just wanted to let you all know The next SDA meeting for Illinois will be Sunday April 3rd from 12pm to 2pm at the Chicago School of Shoemaking. This should be another really exciting meeting because I have arranged a mini workshop with Sara (the owner of The Chicago School of Shoemaking) instead of our regular meeting format! We will be learning to make a leather tassel keychain. This is just a taste of beginning leather working. Sara will also be selling discount coupons if you decide you like working with leather and want to take one of her main classes. There is no cost for this mini workshop but there will be a cash donation jar out if you want to contribute a few dollars towards the cost of supplies. I have taken one of Sara's beginning leather working classes and it was a lot of fun (I learned how to make a belt). I know you will all enjoy this meeting and Sara's class space is lovely! Sara also has a small retail section where you can buy leather, grommets, tools, and other leather working supplies if you want to buy more supplies to take home. As usual we will have a potluck, so please bring a snack to share. If you want to have a look at The Chicago School of Shoemaking's website it can be found here. Please let me know if you are coming so that we can have an accurate head count. Featuring February and March 2016: Kathy Weaver – Five Exhibits. Kathy Weaver’s robots will be tripping into the uncanny valley in the Chicago area in the next two months. 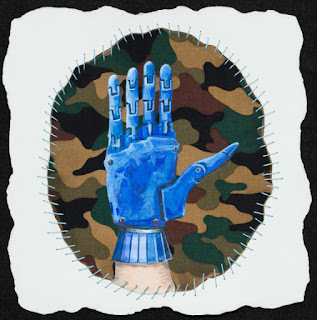 Weaver’s robots and nano-technology forms can be seen in five separate exhibits: at The Ukrainian Institute of Modern Art; H.F. Johnson Gallery; Carthage College in Kenosha; The Cliff Dwellers Club; Dan Addington Gallery, Chicago; and, and Zia Gallery, Winnetka. In “Sentience,” five Chicago-based artists embrace mediums of construction, assemblage or collage in a range of vastly differing practices. Though David Criner, Marcos Raya, Tom Torluemke, Kathy Weaver and Stacia Yeapanis each work within their own unique artistic intentions, their works share a strangeness that results from the tension of commingling imagination with the stuff of everyday life. 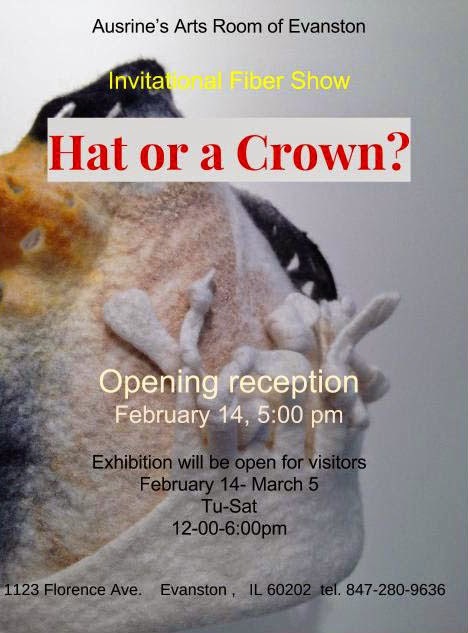 Opening Reception: Thursday, February 11, 4:30 -7:30 p.m. In “Throes of Progress II” artists Jacqueline Moses, Kathy Weaver, and Dominic Sansone question the price of progress in an industrialized techno landscape. Is unchecked growth, in industry and the military, a path to intellectual and economic advancement? The serious subject matter delivers a surprise in dynamic color and gallows humor. 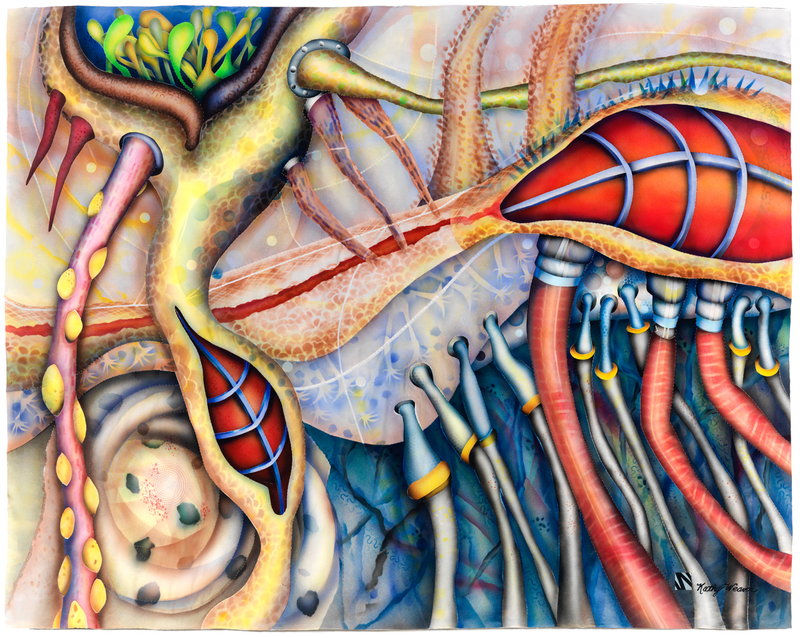 Organic airbrushed forms derived from nanotechnology and artificial intelligence will be on exhibit at the 106 year old Cliff Dwellers Club in Chicago. Perched on the 22nd floor overlooking Millennium Park, the club, at 200 S. Michigan, counted among their members Louis Sullivan, Roger Ebert, Daniel Burnham, Frank Lloyd Wright. 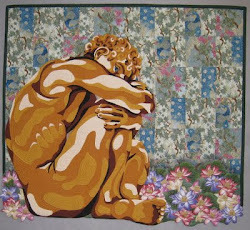 Weaver’s work on exhibit will include large stitched fiber works on satin as well as painted, embroidered and burned works on paper. 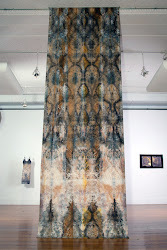 On March 8th,, at a noontime event to honor International Women’s Day, Weaver will make a presentation of her work. See Kathy Weaver's website here. 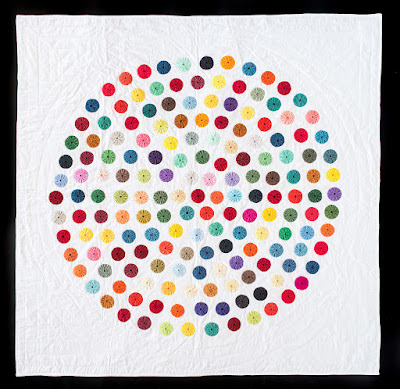 "Hirst, Don’t It? Revealing the Invisible Labor of Female Fiber Artists in Twentieth Century Art." 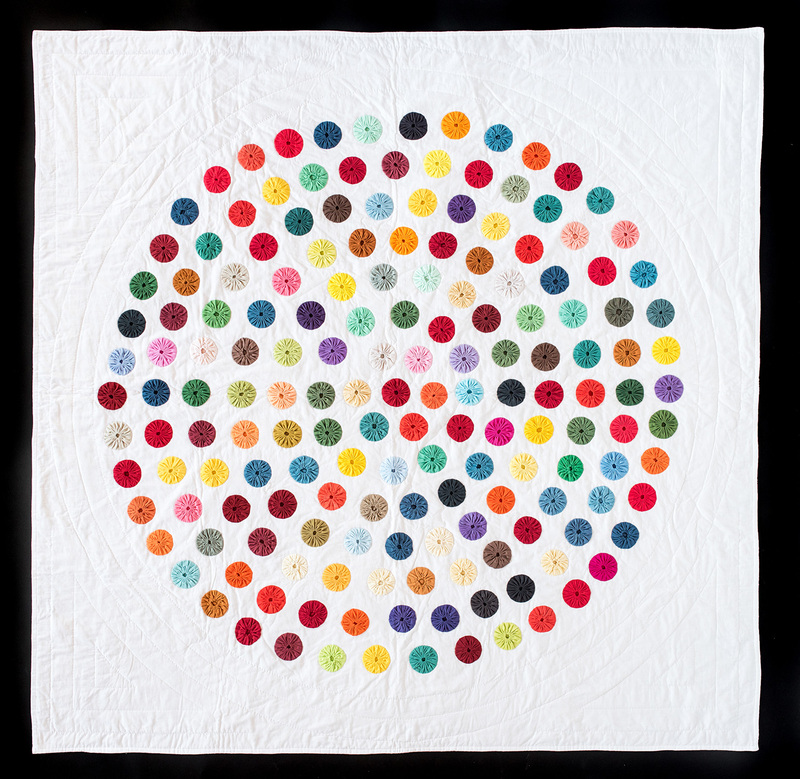 Women fiber artists have engaged in the core concepts of Modern Art, including color theory, geometry, and abstract composition, in ways that have not always been acknowledged within contemporary art movements. However, any history of Modern Art cannot be complete if it refuses to include the work and ideas of women and fibers. 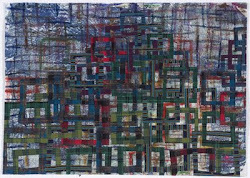 Through research, writing and an accompanying quilt project, artists Nora Renick Rinehart and Rachel Wallis (otherwise known as Craft/Work) have documented the parallel history of fiber art and artists in Contemporary Art (beginning with the often overlooked artists of the Bauhaus Weaving Workshops) and reinserted their ideas and practices into one of the most talked about works of Post-Modern Art on the market today. Please join Nora & Rachel for a slide presentation of their project which will be followed by a discussion period and pot-luck style brunch. !Please bring a dish or drink to share with the group! The Next Meeting for SDA-IL Will Be Saturday January 23rd 2016 at 1pm at Union Street Gallery. I just wanted to tell everybody that our next meeting will be held in Chicago Heights, IL at the Union Street Gallery on Saturday January 23rd, 2016 at 1pm. So, if you missed visiting this wonderful gallery last time you have another chance! Please come out and enjoy good conversation and hear the latest news from the SDA. We will also be having a show and tell where you can bring a piece of your art to get help with, or just to show. We will of course have our usual potluck so please bring a dish to share. Union Street has a very lovely gallery and is an artists studio collective space in a landmark historical building located in Chicago Heights (they also have a wonderful gift shop too!). This meeting should be just what the doctor ordered to get those creative juices running. I hope to see you all there! If possible please let me know if you're coming. Also, you can find more information about Union Street Galleries here. I just wanted to tell everybody that our next meeting will be held in Chicago Heights, IL at the Union Street Gallery on Sunday November 22nd at 11:00am. 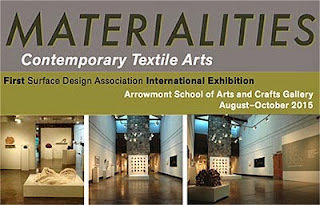 Please come out and enjoy good conversation revolving around fiber and textiles as well as hear the latest news from the SDA. We will also be having a show and tell where you can bring a piece of your art to get help with (in the form of critique) or bring something you just want to show. We will of course have our usual potluck so please bring a dish to share. Union Street has a very lovely gallery and is an artists studio collective space in a landmark historical building in Chicago Heights (they also have a wonderful gift shop too!). They also will have started their Twelfth Month Handmade & Artisanal Market so you can do a little Christmas shopping while you are at it. 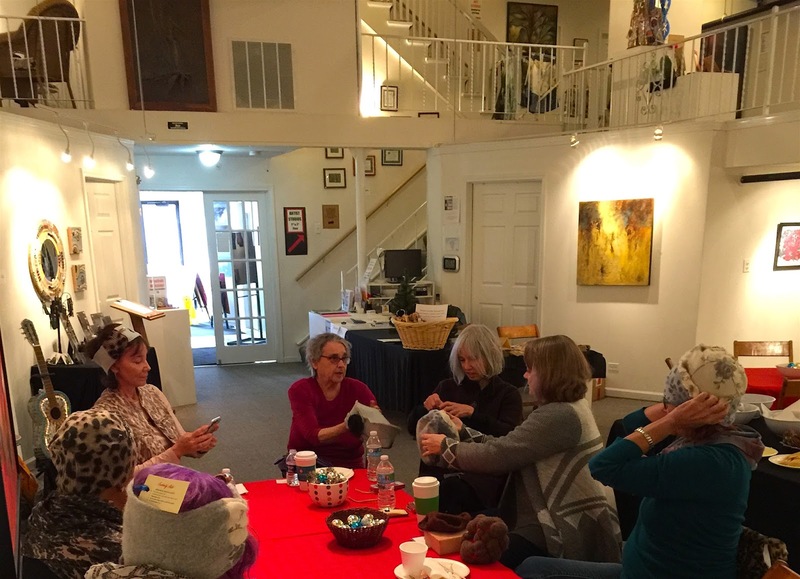 There is more information on the Union Street Gallery website below regarding their holiday market which runs from November 11 through December 23, 2015, and they have a reception the day before our meeting on November 21, 2015 from 12-3pm. This meeting should be a lot of fun so don't miss out. I hope to see as many of you there as travel and schedules permit. If possible please let me know that you are coming. Please feel free to bring a friend if they are interested, the more the merrier! Also, you can find more information about Union Street Galleries here. Hi all! The next meeting for SDA-IL will be Saturday October 3rd, 2015 at 11am at Ausrine's Arts Room located at 1123 Florence Ave, Evanston, IL 60202. Ausrine's storefront gallery has many lovely works of art along with Ausrine's wonderful felted and leather artworks. Please bring your own artwork to share for show & tell and also a snack to share for our mini potluck. Come enjoy good conversation, snacks, and the inspiration of seeing what other people are making and doing! You should also be receiving an email through the membership list. Please let me know if you are coming if possible. Save the Date: Next SDA-IL Meeting will be August 1, 2015 11am. I just wanted to leave a quick note stating that the next meeting for SDA-IL will be August 1st, 2015 at 11am at the Bridgeport Art Center. 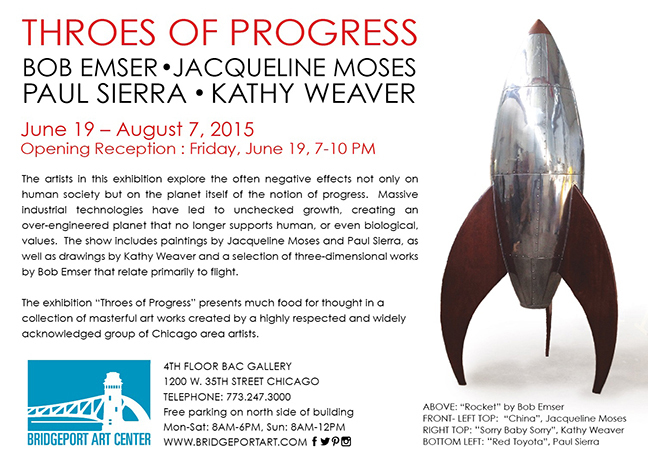 The address is 1200 W 35th St, Chicago, IL 60609, 4th floor BAC Gallery. 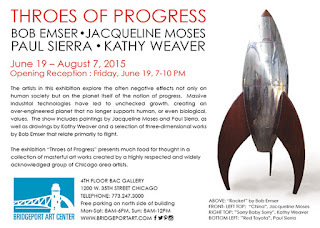 Kathy Weaver will be giving an artist talk and a tour of the show she is in; titled "Throes of Progress". More information will be coming soon! The artists in this exhibition explore the often negative effects not only on human society but on the planet itself of the notion of progress. Massive industrial technologies have led to unchecked growth, creating an over-engineered planet that no longer supports human, or even biological, values. The show includes paintings by Jacqueline Moses and Paul Sierra, as well as drawings by Kathy Weaver and a selection of three-dimensional works by Bob Emser that relate primarily to flight. During his 30+ year career, Bob Emser has served as a visiting artist and has taught at several universities, held a tenured professorship, and founded a not-for-profit art center. He has also served as the executive director of Chicago’s international sculpture exhibition, Pier Walk, and as the founder of Chicago Sculpture International. Emser will present a number of his fascinating “model airplanes”, which, in contrast to the typical children’s toys, are very large. Other works also refer to air travel and even rocketry. Jacqueline Moses has exhibited throughout the region, as well as internationally. Her large-scale oil paintings (many with photographic transfer) depict the global clash of old and new, the negative effects of globalization itself. Some present ominous scenes such as aircraft exploding in fire over placid landscapes. 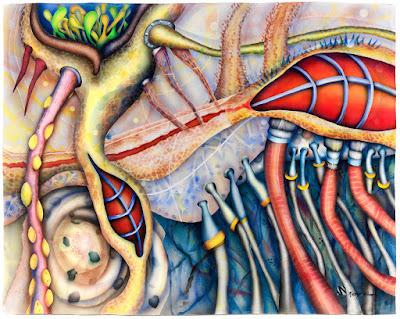 Born in Havana, since immigrating to the United States in 1961 Paul Sierra has participated in numerous group and group exhibitions throughout the country, many of which have explored the contribution of Hispanic artists to American culture. Many of Sierra’s large-scale paintings depict cars that are mangled or burning up as a result of crashes on peaceful country roads, and can serve as eloquent metaphors for the death and destruction which represent the reverse side of our modern love affair with automobiles. Kathy Weaver has exhibited widely in the area, as well as nationally, and has received many awards for her work. Her large-scale drawings show the toll of violent human confrontation. Weaver’s series “Collateral Damage” explores the effect of war on soldiers and civilians. Some of the drawings depict robot protagonists acting out human dramas. 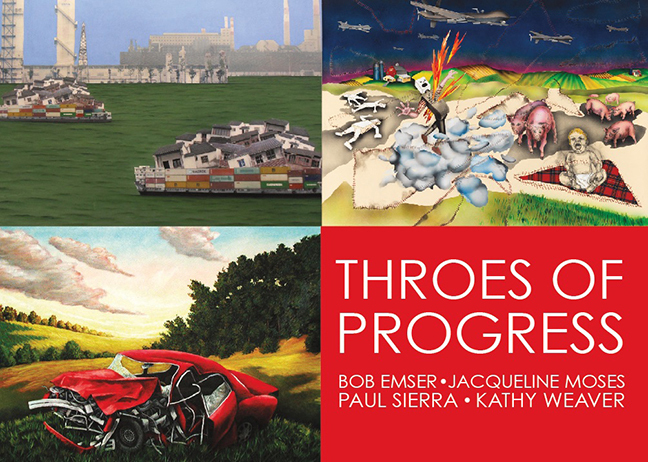 The exhibition “Throes of Progress” presents much food for thought in a collection of masterful art works created by a highly respected and widely acknowledged group of Chicago area artists. Reminder: The Next SDA-IL Meeting Will Be Saturday May 16th at 11am at Gallery Seven in Joliet IL. We will be holding our next SDA Illinois meeting on Saturday March 28th 11am at the LillStreet Art Center located in Chicago at 4401 N Ravenswood Ave, Chicago, IL 60640 up in the print room on the third floor (go up the front stairs and walk down the hallway all the way to the back and it is the room to your right). 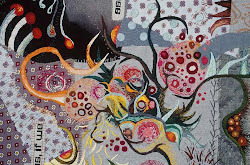 The International Quilt Festival Chicago is also going on out by O'Hare that weekend at the Donald E. Stephens Convention Center in Rosemont, Illinois from 10am to 6pm so you can make a day out of it with non-stop textiles! Please bring a dish or beverage to share and come out and enjoy refreshments, conversation, and the sharing of art. Make sure you bring some of your artwork (finished or unfinished) for show and tell. If possible please let me know that you are coming. Please feel free to bring a friend if they are interested, the more the merrier! LillStreet also has a cafe called First Slice on the first floor and they sell pies and pies by the slice (truly excellent pie) as well as other food and beverages. They also have an excellent gallery and gift area on the first floor near the cafe. So, there is plenty to see (and eat) on your way out. I hope to see you all there! You can find the prospectus and link to application here on the Surface Design Association Website. Artists are invited to install work onto four, 9-foot flag poles on top of Lillstreet’s rooftop deck and garden. Flags as well as alternative installation proposals will be considered. Work can be seen from the CTA Montrose Brown Line elevated tracks and Metra Train tracks, as well as Montrose and Ravenswood Avenues. 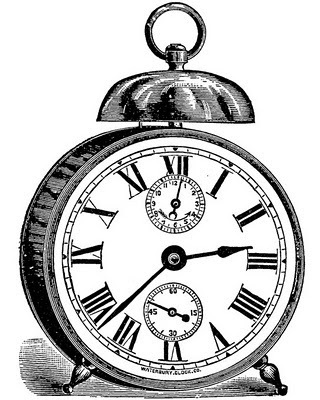 Installations rotate monthly, May through December and work is displayed indoors prior to install date. Cash prizes are awarded to Best In Show ($500) and Honorable Mention ($150) artists. Photo documentation will be provided to all participating artists, as well as opportunities for artist receptions. 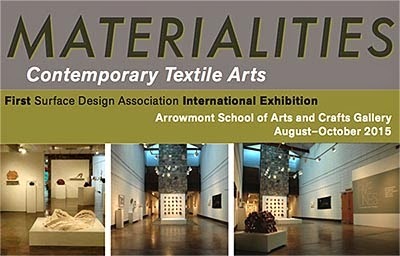 All work will be archived on the Lillstreet Art Center gallery page and in the Textile Department's hallway gallery. Extended Deadline: February 27, 2015. Proposals (just a proposal is due on the 27th along with online application) will be reviewed by Camille Canales, Director of Textile Department and Nora Renick-Rinehart, 2014-2015 Artist-in Residence. You can find out more by clicking on the LillStreet Website here. I hope everyone has a fun and happy Valentines Day! 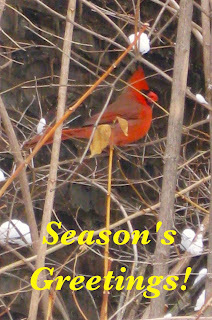 Of the many things that are going on this month I wish to mention two. Ausrine Kerr is having a show titled "Hat or a Crown" at her studio and gallery space in Evanston IL starting Valentines Day and running through March 5th, 2015 (see picture below for announcement information). Also, we will be holding our next Illinois SDA meeting at her gallery on Saturday February 28th 2015 at 11am. You should all be receiving an email announcement in the next couple days. So, if you don't get a chance to come see her show earlier you can see it at the meeting. I just wanted to wish everyone a healthy, prosperous, and fantastic New Year! Also, if you haven't been reading the updates from the SDA we are only $20,000 away from meeting our goal. If you have not donated and still want to, or if you need to update your membership (or buy someone the gift of a membership) it's not too late (2014 has one more day left)... you can pledge here at http://www.surfacedesign.org/get-involv…/pledge-your-support, or buy a membership on the website http://www.surfacedesign.org/. Let's keep the SDA going strong! 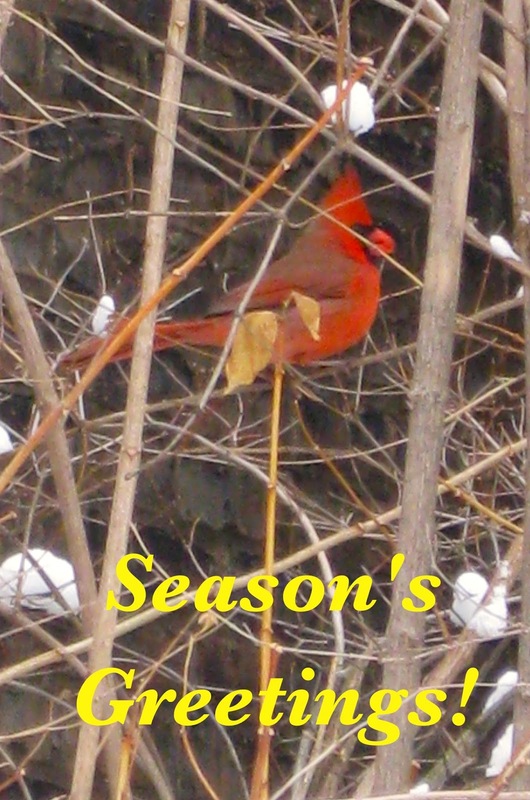 You all stay warm and have a great New Year! Good news, we are just $15,000 away from our goal. You can make your pledge now and pay in increments over the next year. One more day to make our goal! I just wanted to tell everybody that our next meeting will be held in Chicago Heights, IL at the Union Street Gallery on Saturday October 11th at 11:00am. The first hour will be meeting and show & tell the second hour from 12pm on will be an artist talk held by Akemi Nakano Cohn about her work that is presently being displayed at Union Street Gallery as part of Union Street's exhibit “Materials Matter”. Union Street has a very lovely gallery and is an artists studio collective space in a landmark historical building in Chicago Heights (they also have a wonderful gift shop!). Please bring a dish or beverage to share and come out and enjoy refreshments, conversation, the talk, and the gallery. Make sure you bring some of your artwork (finished or unfinished) for show and tell (due to time limitation please bring no more than 2 pieces). This should be a lot of fun and for sure a very interesting talk. If possible please let me know that you are coming via email or comment below. Please feel free to bring a friend if they are interested (the more the merrier)! Also, you can find more information about Union Street Galleries here.